Make an impact by volunteering locally or globally. Use your unique skills to bring compassion to a hurting world. Below are Three specifics ways we live out our mission to GO to the missing, LOVE the marginalized and LIVE as God's kids. It takes dozens of volunteers to keep everything running smoothly at Blue Ash Community Church. There are many opportunities to get involved! If you're looking for a place to plug in, consider serving during a Sunday morning service at an event during the week. 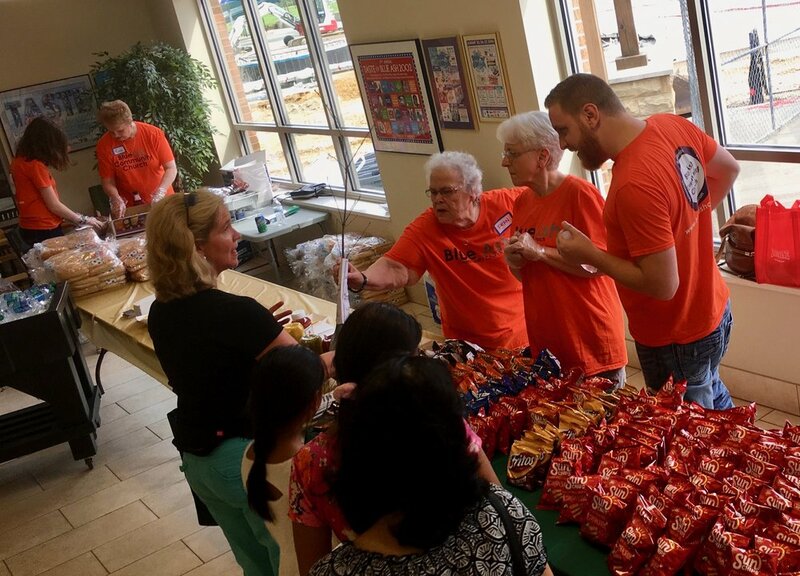 Children's ministry, prayer team, greeters/hospitality, security, facility maintenance, youth ministry and the coffee team are just a few of the areas in need of volunteers. Email Volunteering@blueashcc.com for more information. Help us serve and love on the city through our local outreaches. At least 10% of all our general tithes and offerings go toward helping us love and serve the community. We do this through serving with our Neighbor To Neighbor Ministry, partnering with the city of Blue Ash at many of their events, giving away hotdogs and at times simply praying for our community. If you would like to more information about serving or when our next Outreach opportunity is email us at Volunteering@blueashcc.com or check out our Upcoming Events page. Blue Ash Community church partners with Back2Back Ministries to offer short-term global service opportunities through organizations that build into the local church and communities. Discover the joy of service while offering love and compassion to vulnerable populations. We offer 1 global mission trips per year, serving in Haiti. To learn more, email Andy Rainey at rainey@blueashcc.com.